reCAPTCHA is a free service that protects your website from spam and abuse. 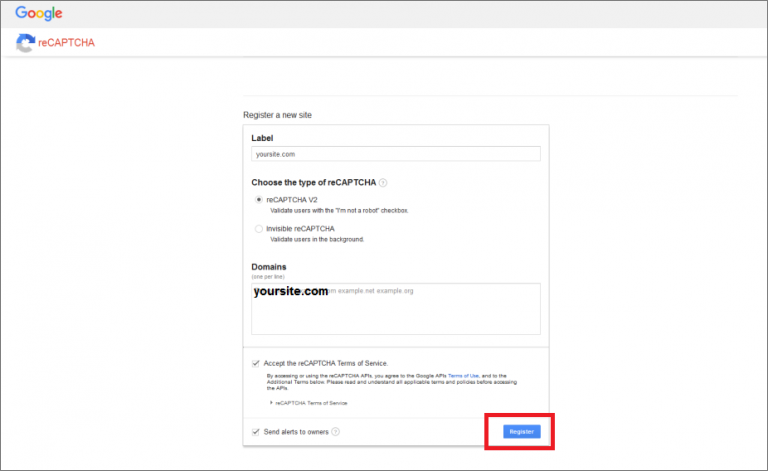 reCAPTCHA uses an advanced risk analysis engine and adaptive CAPTCHAs to keep automated software from engaging in abusive activities on your site. It does this while letting your valid users pass through with ease. Copy ‘Site key’, ‘Secret key’ and ‘URL’. 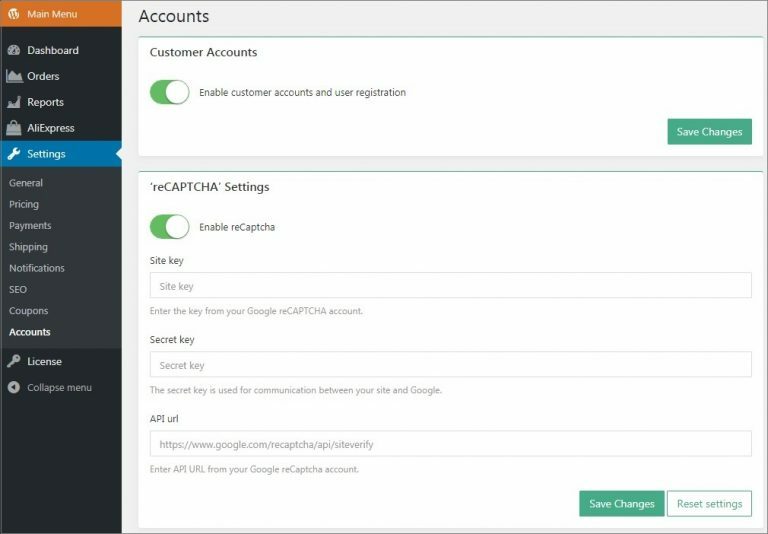 Insert them in your WordPress admin area: AliDropship => Settings => Accounts => ReCAPTCHA. Click Save Changes.